The first lipstick made with mineral water, aqua botanicals, and vitamin E to hydrate your lips! And since it’s got no dulling waxes, you get fresh dewy shades that last longer than ever. In 10 perfectly pure shades. Last Saturday, my partner and I went to Robinson’s Place Dumaguete for our weekly grocery haul when I had a glimpse of the Maybelline counter nestled at the very entrance of the mall’s department store. “Sweet nostalgia!” was all that I can mutter to myself. 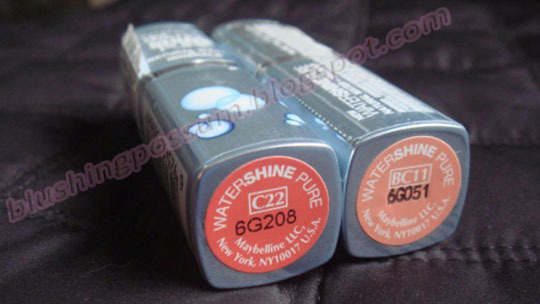 The very first lipstick I ever bought came from their Watershine collection in Glazed Red Apple #20 - the year was 1998 and I was 16 then. 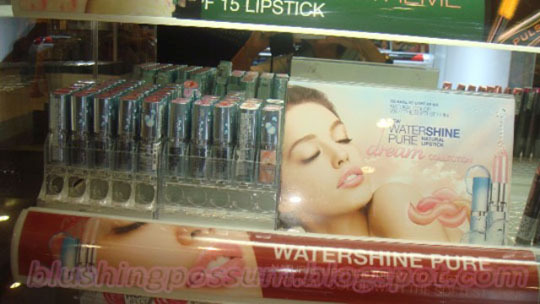 They recently launched the iconic Watershine lipstick as the new “Maybelline Watershine PURE Natural Water Lipcolor”. What makes this new collection different from the other Watershine variants is that it is made from mineral water. It also has aqua botanicals and vitamin E made to hydrate one’s lips. The SA allowed me to do store swatches of all 11 shades available. The colors are made to suit all Asian skintones. These are moisturizing lipsticks comparable to tinted lip balms so the most of them just leave a very dense film of color at first stroke though they are very buildable with several coats. I didn’t find any obvious glitter or shimmer in these lipsticks, just a glossy shine leaving a gorgeous watery finish. I love the fact that these lipsticks are 100% fragrance free and tasteless because scented lip products usually leave me nauseous. They glide on very smoothly and has a light-as-air texture which makes it weightless on the lips. 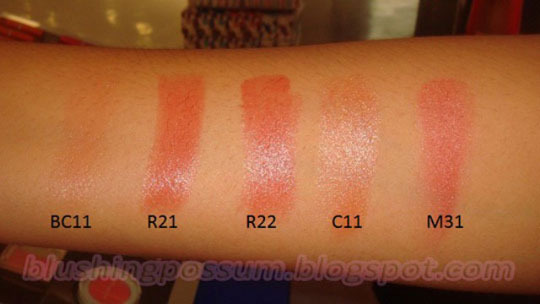 I’m very into light, natural looking lip colors so I picked up the sheerest of them all: BC11 and C22. The best part is that they are only PHP299.00 a tube! 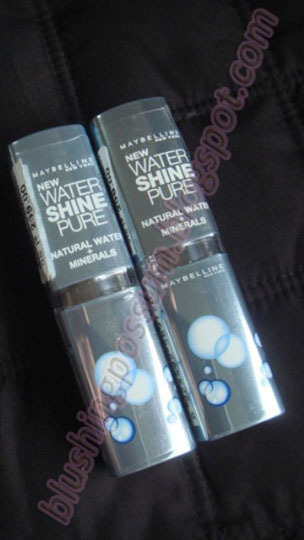 If the lipstick formula of your choice is either moisturizing or sheer, Maybelline Watershine PURE Natural Water Lipcolor can offer you that. This will make a good summer beauty product essential because it never goes dry on the lips and it will keep them hydrated like it said it would. how are u liking'em ??? 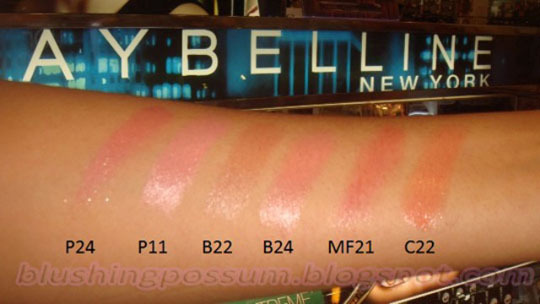 i ahve 2 of these two...B24 and a dark pink..can't recall..love'em..